SEATTLE – CampusCE is delighted to announce its newest customer, Osher Lifelong Learning Institute at the University of Southern Mississippi. “We are extremely proud to be working with the OLLI at the University of Southern Mississippi. Brett and his staff are dedicated to their OLLI community and the CampusCE team looks forward to supporting their vision and the OLLI community.”, said Loren Pace, CEO and President of CampusCE. “We are excited to partner with CampusCE to provide our members with a user-friendly online system that will allow them to join, register for classes, and make contributions to our program all in one place. The ability to quickly and confidently build reports and analyze data will make life much easier on our staff and allow us to make better data-driven decisions that will move our program forward. Everyone we’ve spoken with at CampusCE has been incredibly supportive and willing to assist us in the transition. This support made our decision to switch systems a no-brainer.”, said Brett Harris, Director of Osher Lifelong Learning Institute. 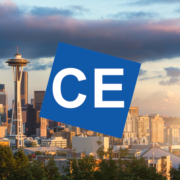 CampusCE, founded in 1999, is a leader in Cloud-based Continuing Education Software Services and supports many of the most successful continuing education and lifelong learning programs in North America. Our premier products and services, The CampusCE Collaborative environment, provides support for program management including print and online catalogs, online and in-house registration and payment, big data reporting and warehousing, and assessments. The Osher Lifelong Learning Institute at the University of Southern Mississippi is part of a nationwide network of 120 institutes offering learning experiences of all kinds targeted toward adults ages 50 and beyond. Since 1991, OLLI at USM has served south Mississippi residents and has grown to nearly 900 members across two university campuses. An affordable and enjoyable way to learn, OLLI at USM offers more than 300 courses each year and firmly believes, as its motto states, “Learning is for Life.” To learn more about OLLI at USM, visit www.usm.edu/olli.